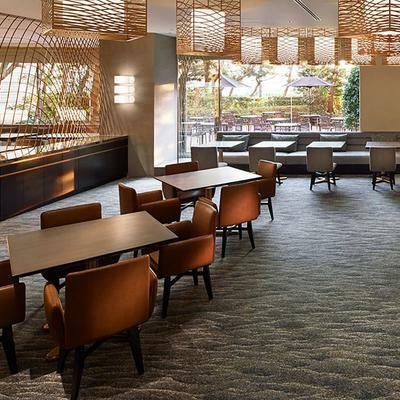 The floors of the 'O' and Celebrio lounges at the Hilton Tokyo Bay have been given a delightful design treatment with a collection of thoughtfully designed, high definition custom woven Brintons carpets. Brintons and partners PLUS Corporation collaborated with Japanese design practice Hashimoto Yukio Design Studio to develop and supply a memorable collection of carpets for the 'O' and Celebrio lounges at the Hilton Tokyo Bay - the official Tokyo Disney Resort Hotel. 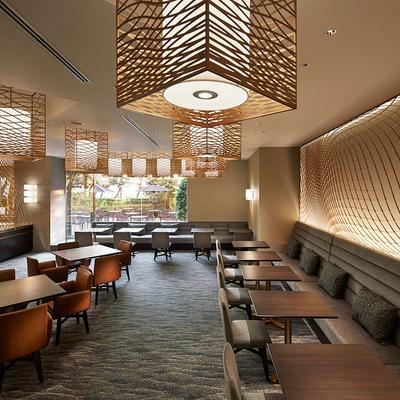 HYD lead designer Yoshimi Sakakibara was responsible for bringing a playful lightness to the lounge interiors, whilst thoughtfully capturing the elegance and sophistication of the Hilton Hotels brand. The 'O' lounge has a mesmerising outlook over Tokyo Bay. 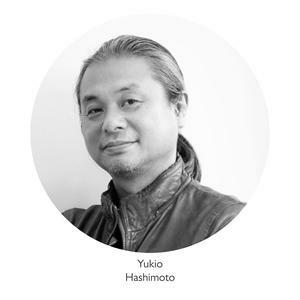 Taking inspiration from the bayside vista Yoshimi Sakakibara designed the lounge with beautifully resolved circular forms - inspired by water bubbles. Soft, delicate circular shapes grace the floor. Two and three dimensional circular forms decorate the screens and custom designed wallpaper to create a trompe l'oeil effect - the illusion of water bubbles rising from the beautifully crafted Brintons carpet. Visually intriguing, the interior inspires and delights. The carpet design is clever in its simplicity. A layering of circles in different tones of blue, grey and purple repeat and interlock across the floor. 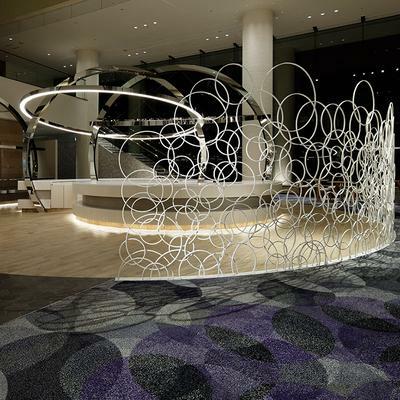 From the hotel floors above, the carpet design is transformed into a larger, fanciful circular design, reminiscent of bubbling water. 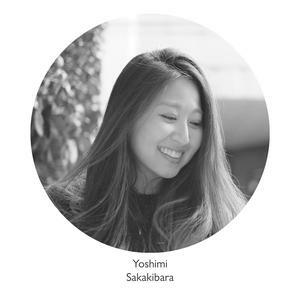 Yoshimi Sakakibara and the team at HYD continued the water design story into the Celebrio lounge. The carpet patterning takes the shape of waves, designed to appear to shimmer and move across the floor. Delicate texture is woven into the design to enhance the sense of flow and movement. The colours build through the lounge - emerald at the entrance and deepening in tone further into the room. The seamless gradation of colour is impressive - achieved using Brintons' precision dyeing capability and coveted high definition weaving process. 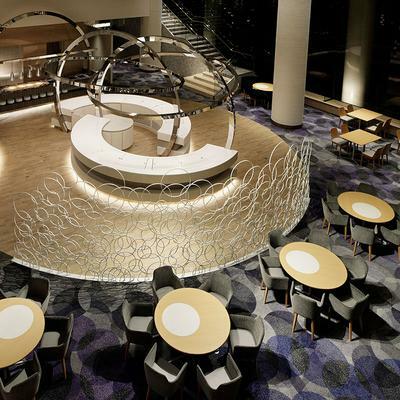 The lounges at the Hilton Tokyo Bay have been designed with a creative intelligence which melds a lightness and charm with Hilton's stylish brand personality. The spaces are engaging and memorable. The carpets are used to bring a touch of magic to the interior, playing an integral role in creating the illusion of movement and dynamism - a highlight of the interiors. Woven in a superior contract specification, the carpets are engineered to perform in the high traffic areas to ensure they keep their good looks for longer, whilst offering guests of the Hilton Toyko Bay softness and comfort underfoot. Courtesy of Nacasa & Partners Inc.